Welcome! First launched by Darcy Paquet in 1999, this site has grown with the help of many volunteers to provide a comprehensive introduction to Korean cinema. It's been five years since the tragic sinking of the Sewol Ferry, in which hundreds of high school students were drowned. Mostly avoiding the divisive politics surrounding the incident, Birthday is about an ordinary family torn apart by the loss of their son. 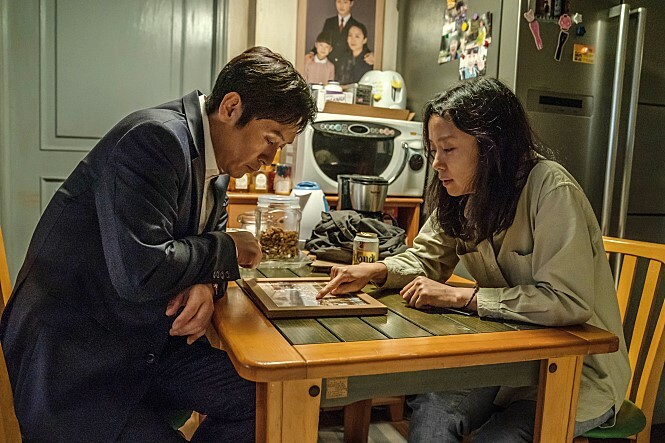 Produced by Lee Chang-dong, and featuring the hugely talented Jeon Do-yeon and Sul Kyung-gu, this debut feature is extremely well directed and almost unbearably sad to watch (though ultimately cathartic). Documentaries · "The Korean Connection"
Our Film Festival Reports contain impressions of films, retrospectives, and other issues from festivals in Korea and elsewhere. Our most recent report is from the 2018 Bucheon International Fantastic Film Festival. If you're searching for Books About Korean Cinema, this page will provide information, summaries and tables of contents for all the major book releases. We've done a number of Interviews with Korean Filmmakers over the years. Our most recent interview is Melissa Kim's 2018 talk with director/actor Moon So-ri. At the end of each year our Top Ten Lists bring together our thoughts and picks for the best Korean films of the year. Visit our Directors' Pages for detailed introductions to the work of a few specific filmmakers. Darcy Paquet is the author of New Korean Cinema: Breaking the Waves, and artistic director of the Wildflower Film Awards Korea. A native of Massachusetts, he has been living in Seoul since 1997.